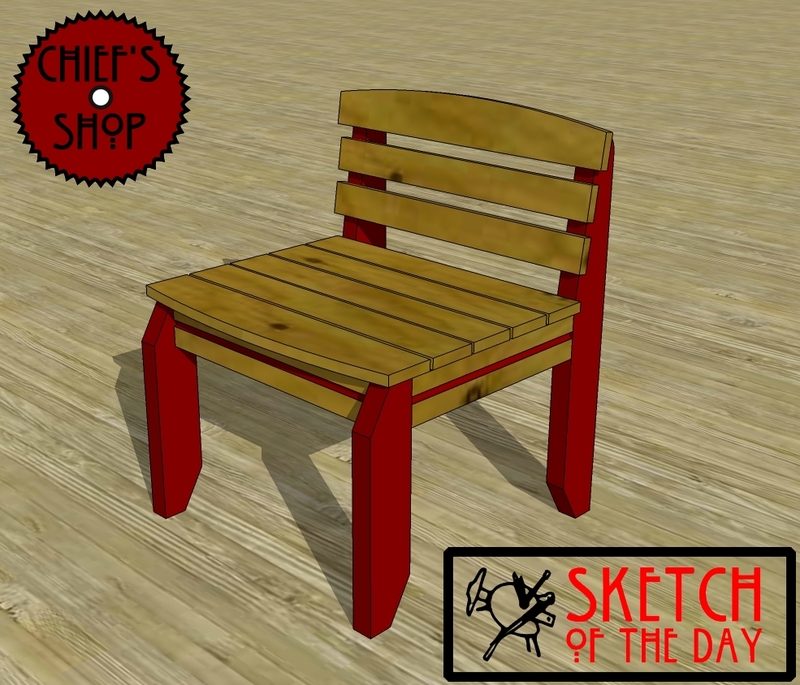 Continuing with the outdoor concepts, here is a deck chair. It uses design components from this weeks Deck Table and Grill Side Table. Check out the video below the image for a 360-degree view. On the back legs, the angle on the upper part, how are you getting that cut…skilsaw or jigsaw?